Salad greens other than lettuce were important in early American diets for nutrients and flavor. Arugula or Garden Rocket is a hardy southern European annual, grown since the 16th century, with smooth, glossy, lyrate leaves and fragrant, pale citron-yellow flowers. It can be eaten young and tender in salads or mixed into pasta and rice dishes. 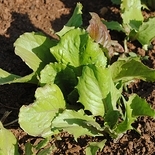 Arugula grows best and quickly in cooler weather; direct sow seeds in rich loam at three-week intervals in early spring and again in late summer for a succession of greens. 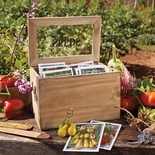 Approximately 65-80 seeds per packet.